Copenhagen, the capital of Denmark, is a charming city where thousand years of history await you in the medieval streets; the same streets walked on by every generation of the world's oldest royal family, the same streets and canals which have inspired artists for centuries and been home and workplace to meticulous craftsmen and famous designers. The city offers many attractions such as the Tivoli amusement park, the statue of the Little Mermaid, the Gefion Fountain, the Royal Palace Amalienborg, the modern opera house, the Nyhavn harbour area and much more. 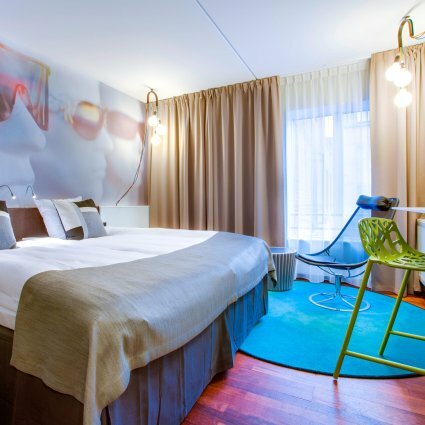 Our preferred category SILVER hotel in Copenhagen is the Comfort Hotel Vesterbro, which is centrally located close to the railway station and Tivoli gardens in the popular Vesterbro district. If this hotel is fully booked we will find an alternative of equal standard (although the hotels might differ in style). Scandinavian breakfast buffet is included.